There’s nothing more exciting than moving abroad. It’s an opportunity to get an entirely new perspective on the world. You will experience fresh food, culture, and people. With that said, we always take a little piece of home with us no matter where we go. Whether you are moving abroad or not, renting the right containers guarantee that your belongings are safely packed. 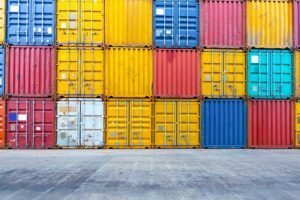 Here’s our short guide to the best shipping containers for moving and everything else you need to know. Moving is more complicated than you might think. Rules govern international moves and procedures that a person needs to follow. Things can quickly get complicated if you are shipping oversized items overseas. When moving internationally, there are various forms and customs clearance guidelines that need to fulfillment. Some of these forms include custom declarations, bill of landing and so on. Be sure to have all of these in place before you send anything off. What Kind of Shipping Containers Do I Need? To move things internationally, you have two primary options: by air or by sea. Air is costly, which is why most companies advise using sea containers. Although this is a bit slower, the price difference will more than make up for it. The biggest question you’ll need to ask yourself is what size container do you need. By far the two most common choices in size available are twenty and forty feet containers. But what exactly does this mean for the amount of stuff you can put in each of them. For twenty-foot shipping containers, you fit the belongings of 1-2 bedrooms or one vehicle plus a few boxes. You are working with roughly 20 x 8 x8.6 feet, so it’s more or less suitable for moving a small apartment worth of stuff. With a forty-foot cargo container, you have a lot more space to work with. These are more appropriate for 4-6 rooms or moving one vehicle plus the belongings of two bedrooms. You are working with similar heights and depth with of course forty instead of twenty feet in length. Moving abroad is a life-changing, but stressful opportunity. With so much to consider when relocating your life, one of the last things you want to do is have to worry about how you are going to get your stuff from one place to another. HLogcam takes care of the moving process for you. We can help you assess what types of containers you might need to make your big move along with assisting you in the necessary paperwork to make sure everything arrives intact and on time. Connect with us today to see how we can help you with container transportation services to make your global transition as smooth and easy as you can imagine.